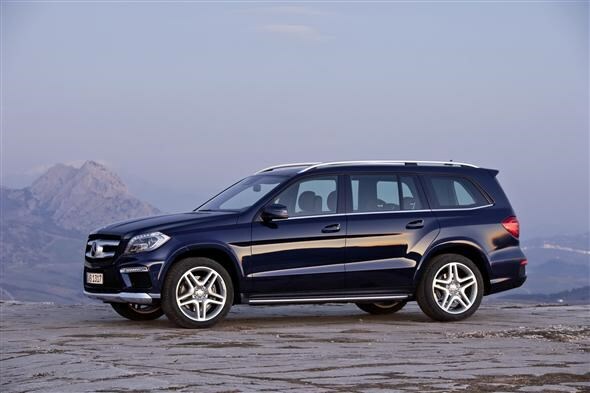 Mercedes-Benz has announced a facelift of its seven-seat GL-Class. The main changes to the Audi Q7 and Porsche Cayenne rival involve the addition of a raft of safety systems and an efficiency hike for both engines. Safety systems that have been installed as standard on the GL-Class include Collision Prevention Assist – which warns of an impending collision – and a drowsiness detection system called Attention Assist. There’s also Crosswind Assist, which stabilises the car when it detects a crosswind. Steer Control is fitted too, and this provides steering help for the driver in the event of loss of control through oversteer. Optional safety kit now available includes Distronic Plus, which allows the car to match its speed to the car in front, following at a set distance when the cruise control is engaged. Pre-Safe can be ordered, and this will brake for you in the event the car detects an imminent collision. Lane Keeping Assist will warn the driver if they stray out of their lane without indicating or steering, while Blind Spot Assist alerts the driver to cars in their blind spot. Active Parking Assist will – you’ve guessed it – help you to park. There’s a new Intelligent Lighting System which will toggle the main beam headlights when it senses other vehicles so as to not dazzle other drivers. The 360-degree camera means you can get a bird's-eye view of the car on the screen in the dash, meaning parking is a lot easier. Thanks to improvements to both engines, their level of efficiency has risen by average of 19%. The six-cylinder diesel 350 BlueTEC 4MATIC model now emits between 192g/km and 209g/km depending on spec, while the combined fuel economy figure is 38mpg. Power is up to 255bhp and torque is now 620Nm, meaning it’ll hit 62mph in 7.9 seconds and go on to a top speed of 136mph. The V8 petrol-engined 500 4MATIC BlueEFFICIENCY now emits between 262g/km and 269g/km depending on spec, with fuel economy at a quoted 25mpg on the combined cycle. This engine makes 405bhp and 600Nm, hitting 62mph in 5.9 seconds and a top speed of 155mph. Mercedes-Benz also claims to have brought NVH (noise, vibration, harshness) levels up to the standard on the firm’s flagship car, the S-Class but it’s also capable off-road thanks to a host of systems designed to enable it to tackle rough or loose terrain. 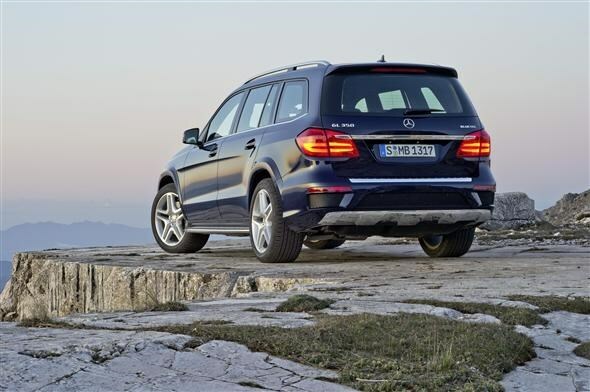 Permanent four-wheel-drive is present, while diff-locks and clever height-adjustable suspension give the GL the ability to traverse ground that most cars would founder on.